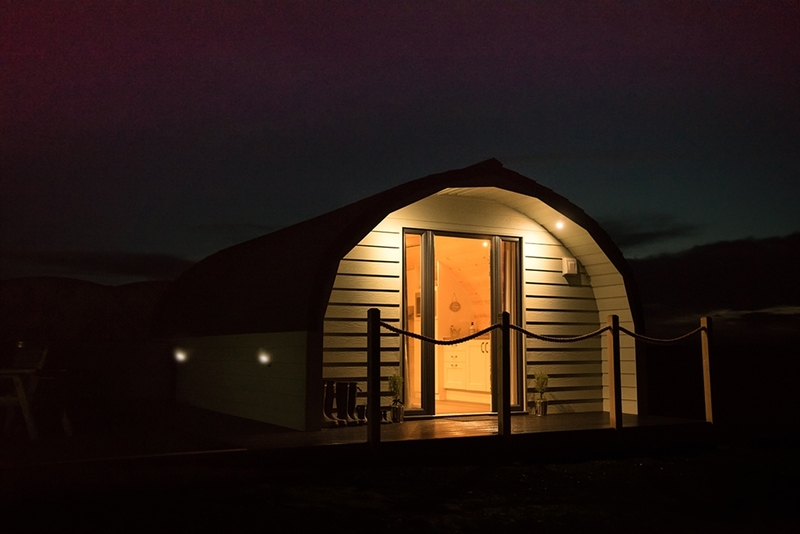 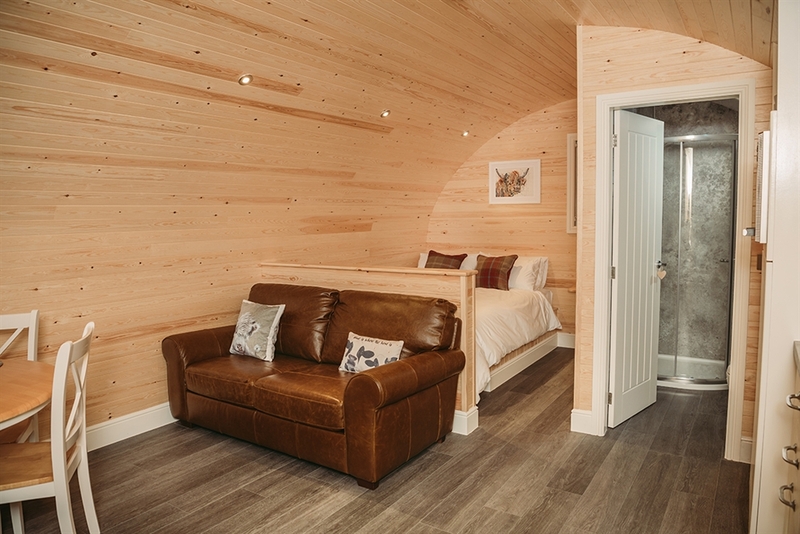 Braeside Retreats is a brand new collection of luxury holiday pods with hot tubs, nestled in the rural hillside overlooking the Pentland Firth with stunning views over to Dunnet Head and the Orkney Isles. 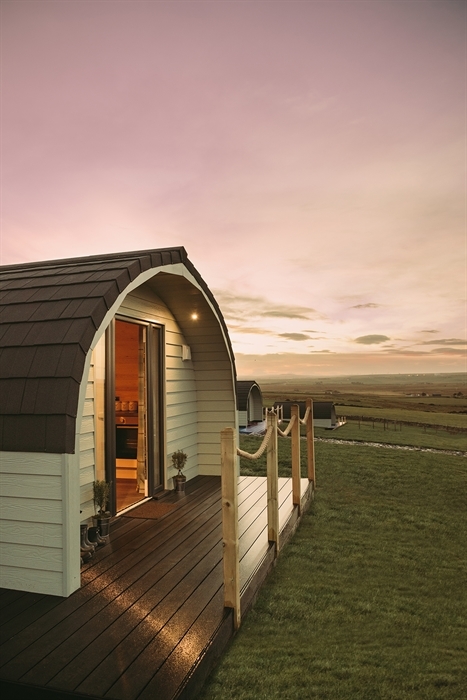 Our pods are far more spacious than your average camping pod! 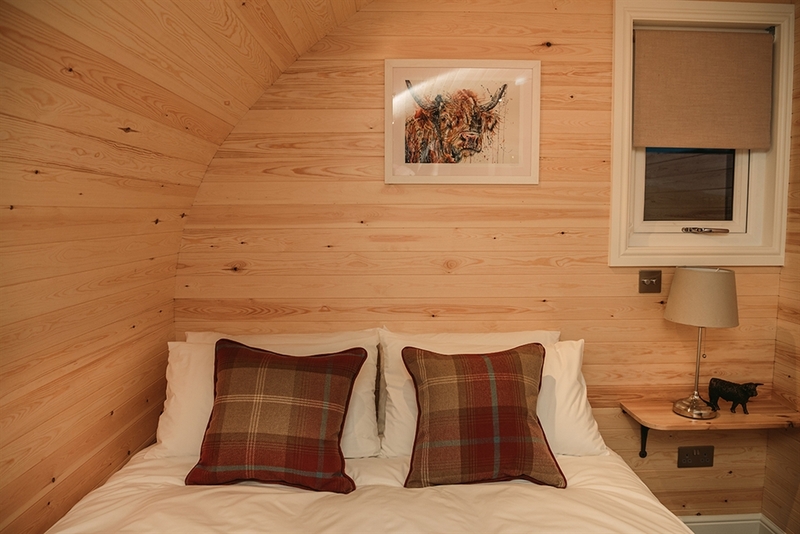 Each can accommodate up to 2 adults and 2 children, or 4 adults. 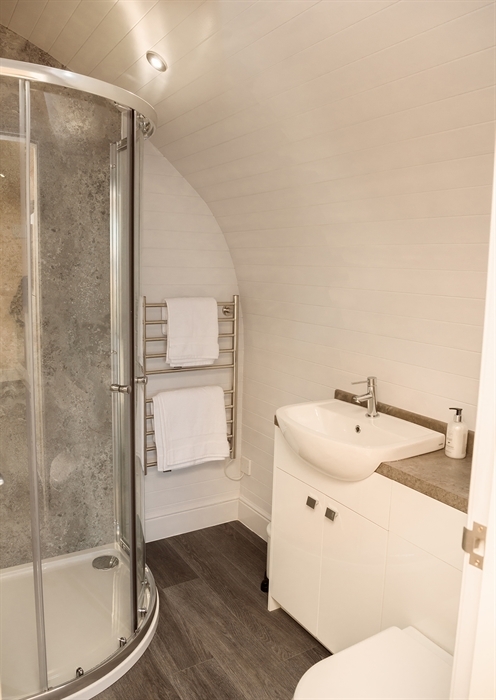 There is plenty floor space should you choose to take a travel cot for an infant. 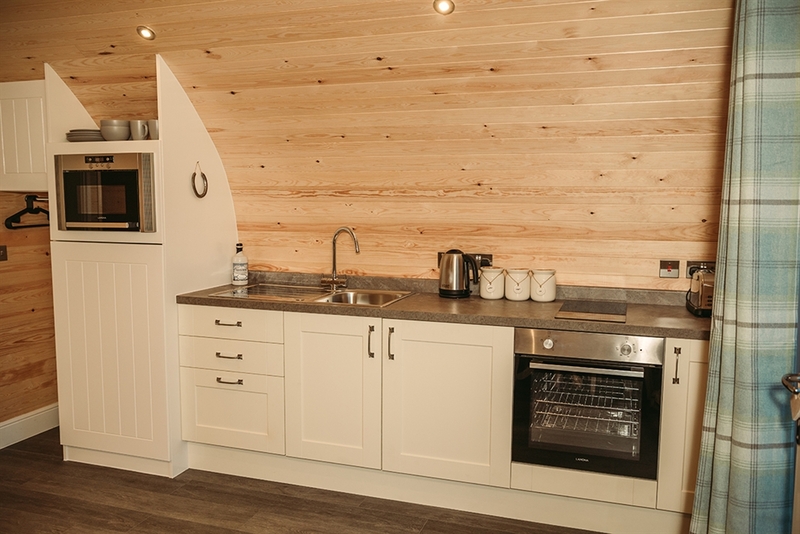 Each is fully equipped to ensure true comfort and luxury to our guests with a 6-Seater hot tub with lounger, a King-size bed and sofa bed (bedding and towels provided), En-suite shower room, a fully equipped modern country style galley kitchen and solid wood dining table with 4 chairs, LED TV with built in DVD – player, Free Wi-Fi and a private parking space for 2 cars. 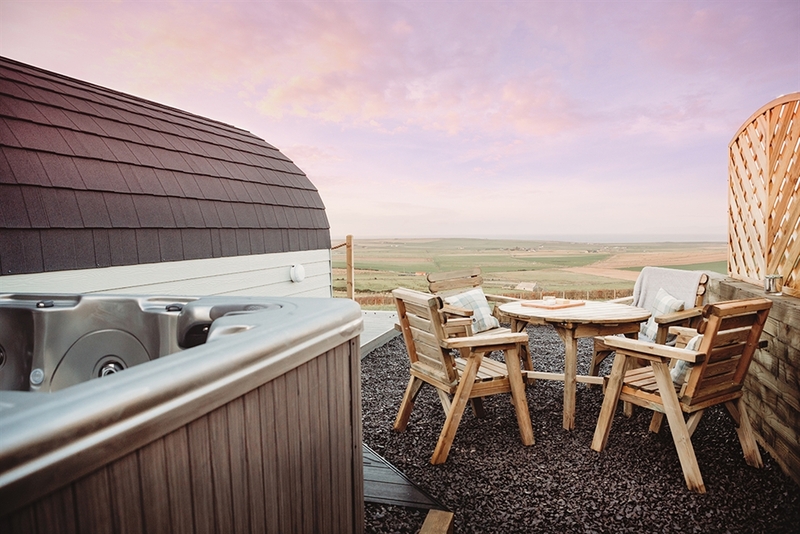 There is a decked terrace at the front of the pod, private outdoor patio with table and chairs, and a private BBQ made from traditional Caithness Stone. 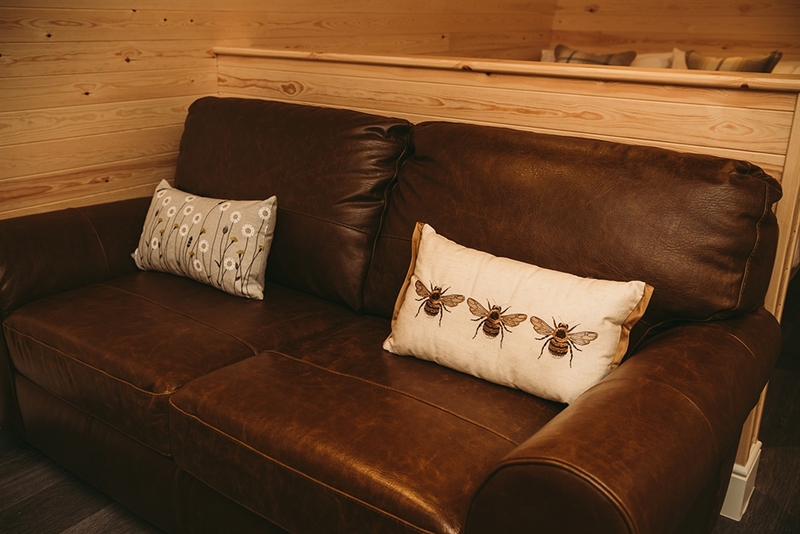 We are very family friendly and the site allows plenty of space and freedom to run and play, a children's play park and a communal fire pit area for toasting marshmallows. 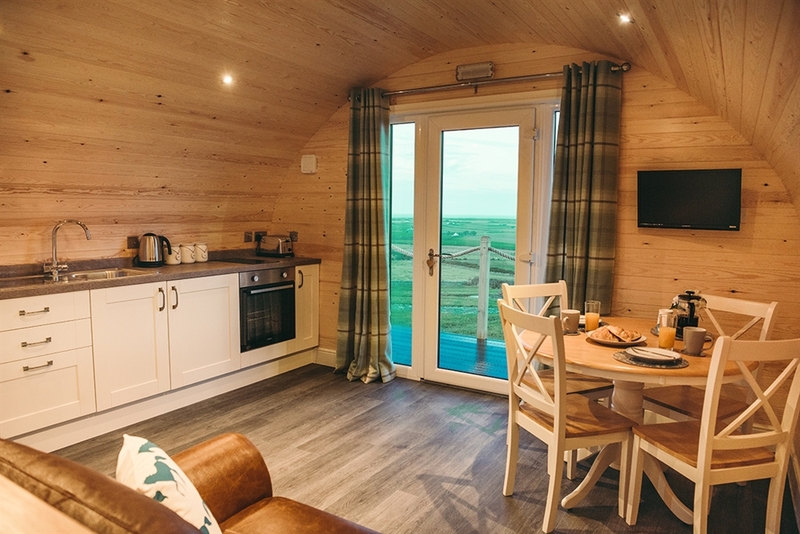 Two of our pods are dog friendly also. 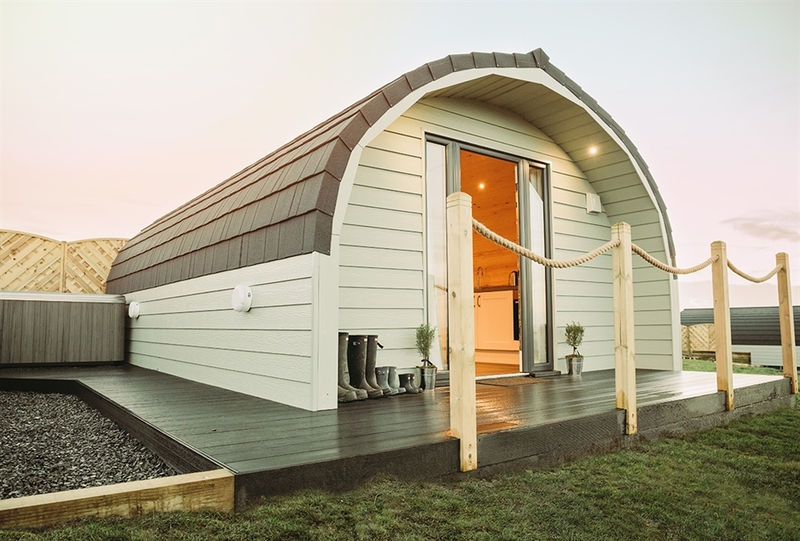 Set in the grounds of a working farm, there will be cows and sheep in the fields near the pods at various times of year. 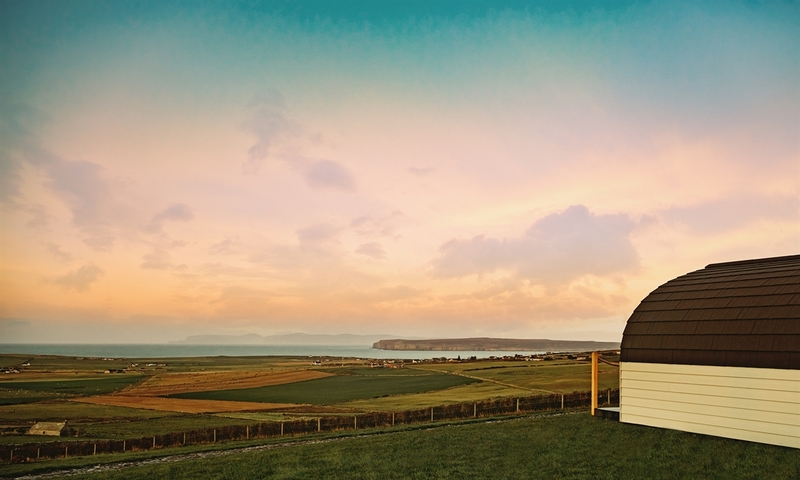 We invite you to come and take in the fresh Caithness air and relax with us.